My rating: 8.5/10. Great watch. Perfect for daily wear. Today I’m doing a Seiko SNDA65 review. 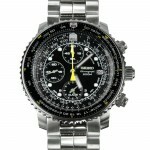 Seiko have been around for an extremely long time and are one of the biggest selling watch brands in the world. 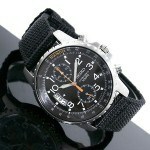 With an extensive range of stunning watches, they’ve become a sort of gateway brand into the world of watch collecting. The SNDA65 is a fairly expensive watch from Seiko but it really is a stunning timepiece. The casing has a very nice matte bead blasted finish to it which gives it this standout edge to it. The whole design of the SNDA65 gives it this very sophisticated and expensive looking finish. With a 43mm casing diameter, it’s a very popular size, it’s classed as large but this has become the most in-demand size for watches lately. 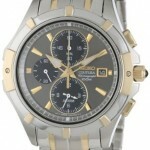 The dial features chronograph subdials and an impressive 1/20 second timer. Some may think the dial is a little busy which is a fair point to make, but I quite like it on this watch. I’d say the bold hands make it easy to read and the 3, 9, and 12 stand out on the dial as well. As for reading in the dark this watch from Seiko features some very high-quality lume that stays brighter for longer than most watches. It may be hard to spot straight away but we also have a nice little date display at the 4 o’clock position. Protecting the dial we have Seiko’s standard Hardlex crystal, this is their own take on a mineral crystal and it offers a good level of protection from scratches and knocks. As with many Seiko watches this model has a Japanese quartz movement. They’re known to be accurate and affordable which is why they are used for so many watches. You’ve obviously already noticed the canvas fabric strap of this Seiko watch. It’s a very high-quality durable canvas that’s long lasting and won’t wear down anytime soon. It’s 22mm in width so fits perfectly with this casing design. The strap features a fairly standard hook and buckle clasp. Band Nylon canvas strap, standard length, 22mm width, buckle style clasp. Case Stainless steel casing, sizing diameter: 43 mm and thickness: 11 mm. Dial Analogue chronograph display. Features a date display. The window lens is made of Hardlex crystal. 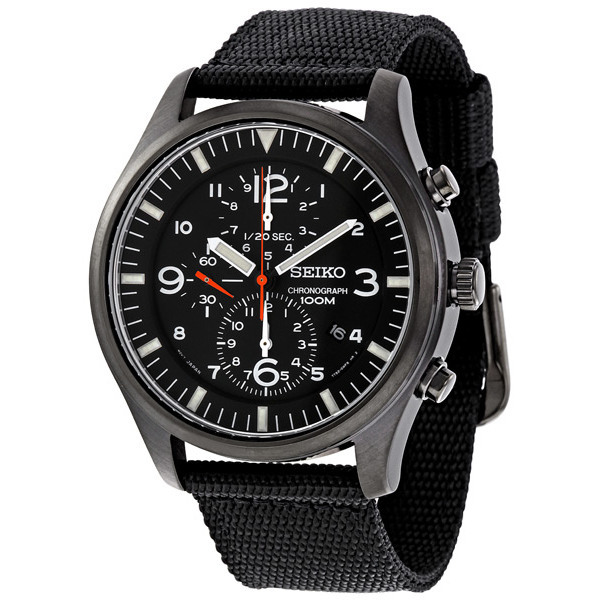 The Seiko SNDA65 is a really nice looking watch, perfect for day to day wear and it can withstand a tough day with its durable strap and 100m water resistance. If you aren’t a fan of this type of strap a lot of people just change it out for a different design be it leather or Nato style. It’s fair to say this is quite an expensive watch but being Seiko it’s almost become a bit more of a collectors game with these watches. I like the overall design of it, the main negative for me would be the small date display. Hope you enjoyed this Seiko SNDA65 review. Find more watch reviews below.